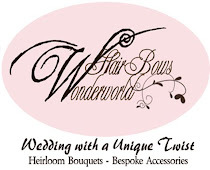 hairbowswonderworld: Swinging Safari with the Bowchicks! The Bowchicks are having a Safari Launch on Ebay. 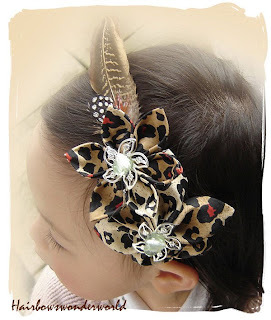 Please search 'Bowchicks' for awesome Hair Accessories for your children! 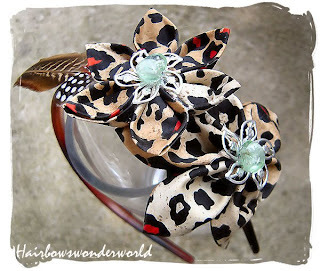 Here is my 'Jungle Princess' Headband. I will add some more today. Is this cute?